Children have very particular and limited palates. Sure, some 5-year-olds get down with sushi and kale, but most subsist on a steady diet of carbs, cheese and chicken nuggets, and it seems the royals are no different. According to the Duchess of Cambridge, aka Kate Middleton, Prince George and Princess Charlotte have some very common favorite foods. 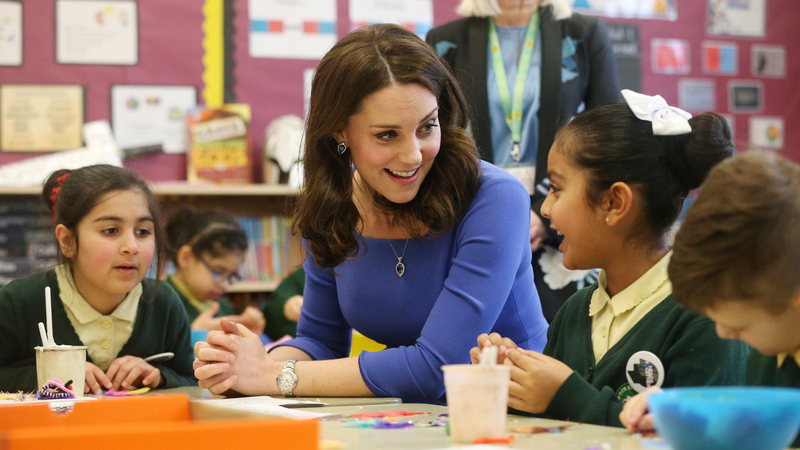 Today, The Duchess of Cambridge visited Lavender Primary School and Alperton Community School to find out more about the support offered to students, teachers and parents to help with mental wellbeing. #ChildrensMentalHealthWeek The Duchess first visited Lavender Primary School in support of @_place2be Children’s Mental Health Week 2019. Place2Be, of which Her Royal Highness is Patron, is a UK children's mental health charity providing in-school support and expert training to improve the emotional wellbeing of pupils, families, teachers and school staff. At Alperton Community School The Duchess met Andria Zafirakou, the UK’s 1st winner of the Global Teacher Prize which recognises outstanding contribution in the profession. The Duchess joined a roundtable discussion with teachers about pupil school readiness and teacher wellbeing. Follow @kensingtonroyal for more.